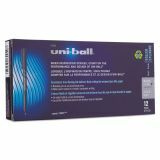 Sleek rollerball pen with durable metal tip. Classic looking black molded clip, matte barrel and cap. 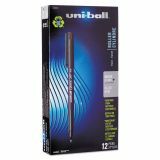 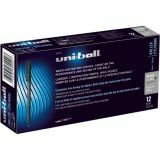 uni-ball ONYX Stick Roller Ball Pen, Micro 0.5mm, Black Ink, Black Matte Barrel, Dozen - Onyx Rolling Ball Pens offer a smooth rolling metal point. 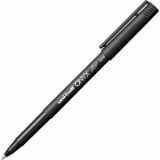 Excellent for marking carbon copies or multipart forms. 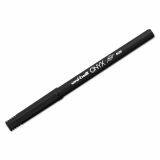 Slim matte black barrel features a matching cap and clip. 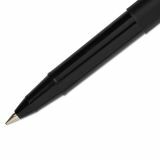 Use clip to attach rollerball pen to pockets, notebooks and more. 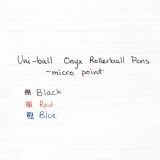 Color-coded point and end plug indicate ink color.